If you have oily skin, you know: your makeup may look great at home, but once you step outside (especially in hotter weather), it’s time to shine… way too much. That’s why finding the right makeup tips for oily skin is so important. Do you have the right powder to minimize that shine? Can you get your hands on the perfect foundation to avoid creasing or a greasy appearance? Whether you’re preparing for a night out or an important meeting at the office, you have to be sure you are using the best makeup for oily skin and following all the right makeup tips for oily skin to maximize your beauty routine efforts. 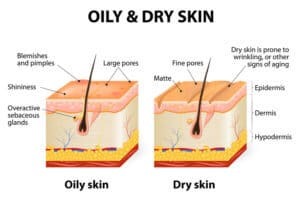 What makes your skin oily? Normal sebum production is one of the ways your body naturally protects your skin, but an overproduction of sebum can cause your skin to appear greasy. It can also change the texture and appearance of your makeup over time. Finding the right foundation can be a trial-and-error process. You want to use the best makeup for oily skin, and some foundations are definitely better than others. Here are some pro makeup tips for oily skin that might help you choose a great product to make your look stay fresh for longer and avoid that greasy look. Always apply foundation lightly before using finishing products like powder. Foundation with a water base is a great alternative to oily makeup base. Pro Tip: Skip your eyelids when you apply foundation. This will help minimize creases in your eyeshadow and help keep the delicate skin around your eyes looking light and fresh. Is Powder Good for My Oily Skin? One key makeup tip for oily skin: If you choose to wear powder, check the ingredients. 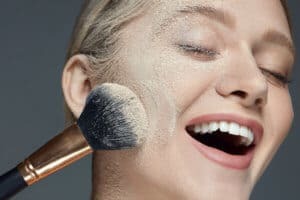 Yes, the jury is still out about applying powder to oily skin – some people feel it helps absorb oil and set makeup, while others think powder is an irritant that can worsen oily skin. The truth is, powders and foundations react differently to different skin types based on their ingredients. 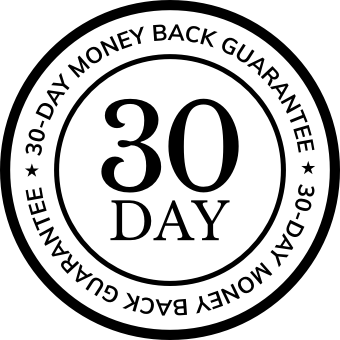 Avoiding, or including, certain ingredients in your products is a great way to figure out what consistently works best for you. When dealing with oily skin and a full face of makeup, it is tempting to repeatedly apply powder to your face in an attempt to absorb the oil and preserve your makeup. Unfortunately, doing so may make matters worse, and you’ll wind up with makeup that looks cakey and way too heavy. A great makeup tip for oily skin is to use blotting papers on your face once you have your makeup fully set on your skin. Blotting papers can be made of rice paper, charcoal, or bamboo, and they won’t move or smear your makeup when you pat your skin while on the go. Just use them carefully, and don’t wipe or rub your skin. When applying makeup on oily skin, it’s good to remember that sometimes, less is more. If you have oily skin, you’re no doubt concerned about shine. You may often sport that “dewy glow” that others with dry skin work hard to recreate… so, own it. Just make sure you follow a few of these makeup tips for oily skin, to ensure you’re rocking a dewy look – and not a greasy one.